I’ve always loved watches. From the first cartoon watch my grandparents gave me when I was a kid, to various other watches I’ve had throughout my life, it’s been rare for me not to have some kind of timepiece on my wrist. For the last few years, my watch of choice has been an Apple Watch. One thing I love about these watches is the ability to quickly and easily swap out the bands. It can go from a light, casual velcro sport band to a fancier Milanese metal loop in seconds, and fit whatever mood or event life throws my way. This, however, is my first custom built strap. 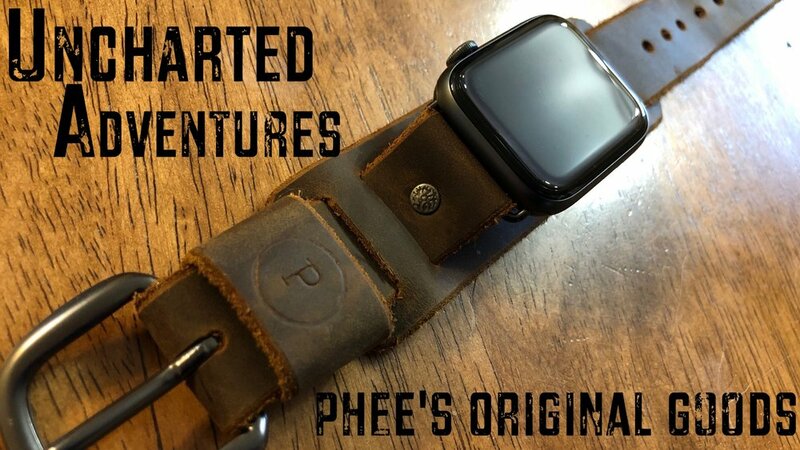 When I first saw Kyle McPhee’s leather work on Instagram, and saw he took commissions, I wondered if he had ever made a watch strap before. I sent him a quick message, and even though he hadn't made anything like that before, he was more than up for the challenge. A couple of weeks later, it was done and I couldn’t wait to check it out, so I decided to drive up to Port Hawksbury, not only to pick up the strap, but also to check out the Customs House Artisan Incubator and see the amazing work offered by Kyle and the rest of the crew there.